My office hours change each week since my schedule varies. Use my scheduler to see when I'm available and sign up online for an appointment with me. 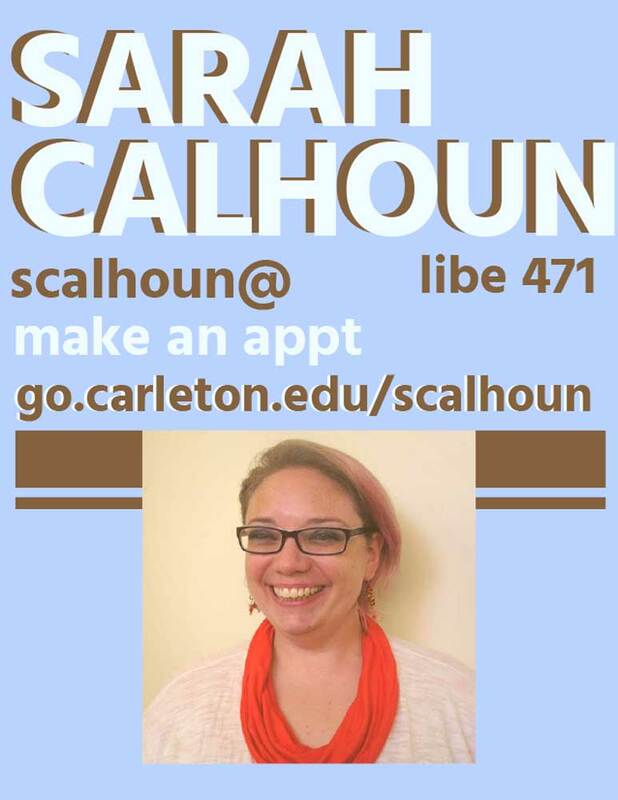 My office, Libe 471, is at the end of the hall off the back left corner of the Reference Room. Stop by any time my door is open! I have a big paper due in a few weeks and don't know what to do first. Help? I've never used a library before -- how do I start? What is a reference book...and where are they? My professor suggested using Zotero. What's that? I want to browse the stacks, but have never done that before and don't know which section to go to. Help? I have a general topic, but don't know how realistic it is. How do I figure that out? I'm in the middle of writing my paper and just came across a reference to a very specific primary source. How do I find it?